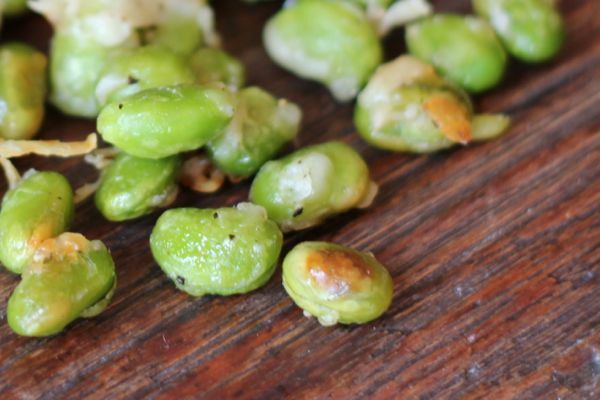 Baked edamame beans make for a delicious and healthy snack that everyone in the family can enjoy! 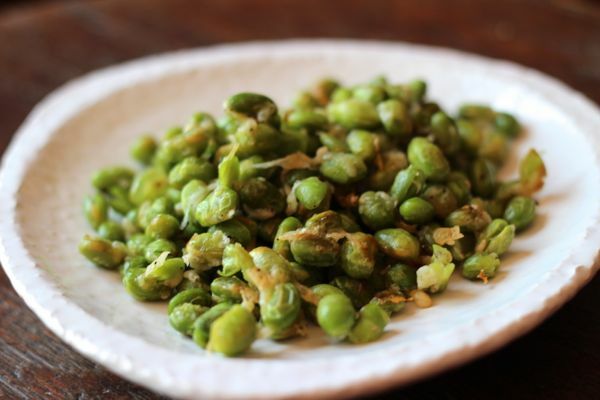 Edamame beans (pronounced eh-dah-MAH-may) are among the few plant-based sources of complete protein. They are simply young soybeans in pods and are harvested before they harden. When cooked they have a buttery texture with a sweet nutty taste. This recipe is a fairly basic one but you can easily spruce them up by adding Italian seasonings, minced garlic or garlic powder. Mind you, they are delicious made as written. I have seen this recipe all over the internet for the past year or two and finally made them. My baking instructions are adjusted slightly to create the perfect golden brown. These delicious little soybeans are best eaten slightly warm and are best eaten the day they are made. Edamame are a high fiber, complete protein food. Soybeans are also a rich source of the B-complex vitamins folate, niacin, riboflavin and thiamine and vitamins C and K, as well as the minerals calcium, phosphorus and potassium. Let the beans come to room temperature in a colander and then dry well with a towel to remove excess moisture. Alternatively, rinse under cold water to thaw and be sure to dry well with a towel to remove excess moisture. Place the beans in a medium bowl with the oil, cheese and salt and pepper and toss to coat well. Spread the coated beans in a 9x13 glass baking dish and bake for 20-25 minutes until lightly golden. Toss once during the cooking process. Remove from the oven and allow to cool slightly before diving in.